Intex Wave Rider Float Just $9.87! Down From $26! You are here: Home / Great Deals / Amazon Deals / Intex Wave Rider Float Just $9.87! Down From $26! At Amazon, you can score this Intex Wave Rider Float for just $9.87 PLUS FREE shipping with Amazon Prime or for orders $25 or more! In comparison, Walmart has it for $21.99 – regularly $26.39! Intex Wave Rider Ride-On measures 46″ x 30 1/2″ and made of 10 guage vinyl. Right, bold and sleek design. Wide base for extra stability. Heavy duty handle. 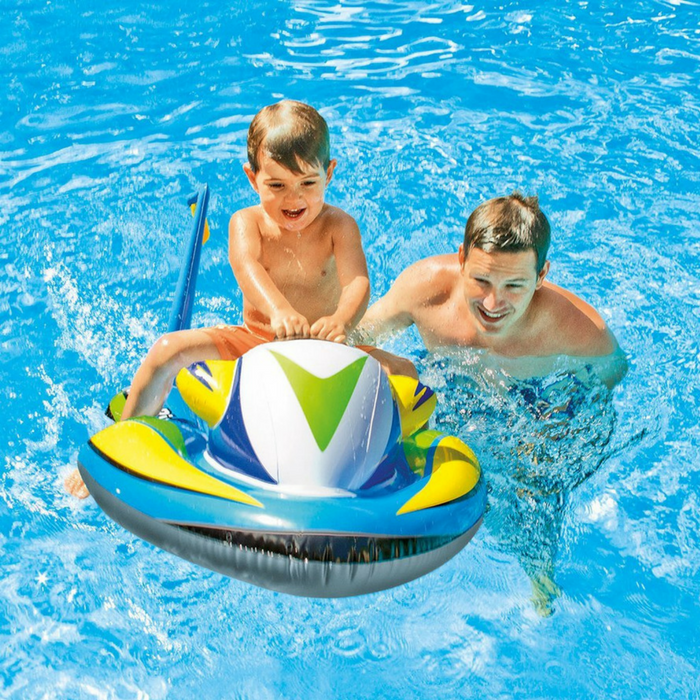 Your kids can pretend to ride on a jet ski with the Intex Wave Rider Ride-on pool float.